The U.S. Justice Department on Thursday said it would probe a Federal Bureau of Investigation decision to announce it was reopening an inquiry into Hillary Clinton's emails shortly before the November presidential election, a move she has blamed as a factor in her defeat. The Justice Department's Office of Inspector General said its probe would focus in part on decisions leading up to public statements by FBI Director James Comey regarding the Clinton investigation and whether underlying investigative decisions may have been based on "improper considerations." Although the FBI ultimately decided not to refer Clinton's case for prosecution, Comey aroused suspicion that may have diminished trust in Clinton among voters. The FBI and the Justice Department did not immediately respond to requests for comment. The controversy involved Clinton's use of a private email server for official correspondence when she was secretary of state under President Barack Obama, including for messages that were later determined to contain classified information. Often leading crowds in chants of "lock her up!" during the election campaign, President-elect Donald Trump as a candidate repeatedly accused Clinton of illegal conduct over the emails. In a debate in October, he vowed she would "be in jail" over the matter if he became president, but he has since said he would not pursue prosecution. Comey publicly announced the status of the agency's investigation into Clinton's emails two times in 2016. In July, Comey held a press conference and testified before Congress to explain why the FBI had decided not to refer Clinton for prosecution, explaining that she was "extremely careless" but should not be charged with gross negligence or any other federal crime. In October, less than two weeks before the Nov. 8 election, Comey said the FBI was resuming the investigation because of new emails found on the computer of disgraced former Representative Anthony Weiner, the husband of one of Clinton's top aides. On Nov. 6, Comey said the investigation into Weiner's computer produced no new evidence that would incriminate Clinton. Brian Fallon, Clinton's spokesman, told MSNBC on Thursday that Comey's actions "cried out for an independent review." It is the usual practice of prosecutors and law enforcement, including the FBI, not to disclose information about investigations that do not end in criminal charges. Asked about the probe, the White House said the review, like any by a like any by a government inspector general, was an independent decision. Trump, who will be sworn in Jan. 20, will not have the power to dismiss the probe. But it is within presidential authority to appoint or dismiss inspectors general for federal agencies. Critics of Comey's decisions also said he could be in violation of the Hatch Act, a 1939 law that bars government employees from interfering with U.S. elections. The inspector general's announcement said the review would not consider whether the FBI or the Department of Justice made right decisions in not charging Clinton. © Saul Loeb/AFP/Getty Images File photo of FBI Director James Comey. The Justice Department's internal watchdog is launching a broad review of how the FBI handled its investigation into Hillary Clinton's private email server. 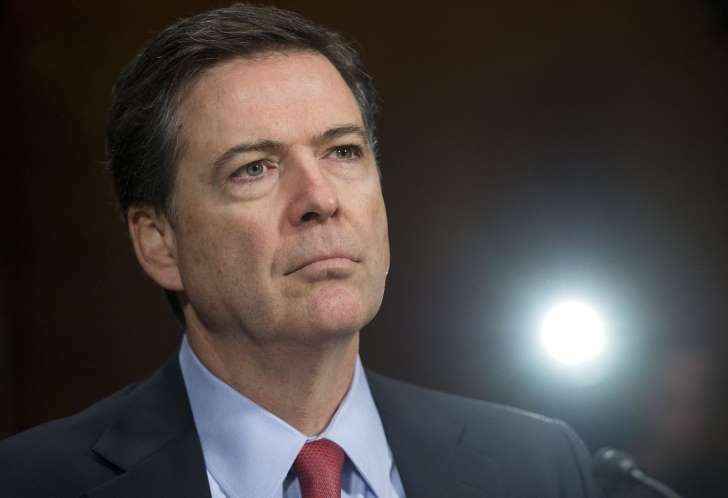 The review's scope includes allegations that FBI Director James Comey violated established procedures when he publicly discussed the bureau's findings and when he sent Congress updates shortly before the election about new evidence agents had discovered. Justice Department Inspector General Michael Horowitz announced in a statement Thursday that his investigation will also explore whether FBI and Justice Department employees improperly leaked information prior to the election. Clinton and aides on her Democratic presidential campaign have blamed Comey's pre-election revelation that he was reviving the email investigation as a key factor in her narrow loss to Republican nominee Donald Trump. A statement from Horowitz's office said he was initiating the inquiry "in response to requests from numerous Chairmen and Ranking Members of Congressional oversight committees, various organizations, and members of the public." Comey said he welcomes Horowitz's probe. "I am grateful to the Department of Justice's IG for taking on this review. He is professional and independent and the FBI will cooperate fully with him and his office," Comey said in a statement. "I hope very much he is able to share his conclusions and observations with the public because everyone will benefit from thoughtful evaluation and transparency regarding this matter." White House press secretary Josh Earnest said White House officials had no involvement in the decision to launch the review. "This administration has assiduously protected the independence of inspectors general, so we wouldn't weigh in publicly or privately," he said. An FBI spokeswoman did not immediately respond to a request for comment on the review. Clinton allies, who have accused Comey of repeatedly ignoring Justice Department policies about comments on investigations, hailed the news. "My reaction is that it's entirely appropriate and very necessary but also not surprising," former Clinton campaign press secretary Brian Fallon told MSNBC. "Because the deviations from the protocols at the FBI and the Justice Department were so glaring and egregious in terms of their handling of not just the email investigation into Secretary Clinton but just in general, the amount of leaks that were coming from the FBI throughout the election and even post-election, is something that...I think most observers and former officials at the Justice Department realized cried out for an independent review." Comey has said he delivered his July briefing on the FBI's findings in the Clinton email probe without coordinating his statement with Justice Department leaders. He's defended his statement as appropriate given the public's questions about the handling of such a high-profile, politically-charged inquiry. However, some Justice Department officials complained that his actions violated the usual practice of saying little about an investigation being closed without charges. Clinton allies also faulted Comey for publicly lambasting Clinton for being "extremely careless" with classified information, even as he said criminal charges were unwarranted. Justice Department officials also opposed Comey's decision to notify Congress in October that newly-discovered evidence was being reviewed in connection with the email investigation. He sent Congress another letter three days before the election saying the newly-found emails, discovered on a laptop belonging to the estranged husband of a top Clinton aide, had not altered the FBI's decision that no prosecution of Clinton was appropriate. Clinton aides say the disclosures, regardless of the details, stirred up the email controversy days before the election and led undecided moderate, suburban voters in key swing states to cast their ballots for Trump. In addition to the Clinton email investigation, it appears the new inspector general review will examine other Clinton-related matters the FBI worked on before the election, including preliminary inquiries into alleged misconduct at the Clinton Foundation. Horowitz's statement alludes to claims by some FBI agents that Deputy Director Andrew McCabe should have recused himself from decisions on those matters because his wife, Jill McCabe, ran for the Virginia state senate as a Democrat in 2015 with backing from Gov. Terry McAuliffe. McAuliffe is a longtime friend of the Clintons and has worked closely with the Clinton Foundation. While the review will be welcomed by many Democrats, Horowitz also plans to explore some allegations Republicans would like to see pursued: claims that Justice's top legislative affairs official, Peter Kadzik, "improperly disclosed non-public information to the Clinton campaign and/or should have been recused from participating in certain matters." Some emails published by WikiLeaks show Kadzik using a personal email account to communicate with Clinton campaign chief John Podesta about upcoming action in Freedom of Information Act lawsuits related to Clinton. One Republican, however, said the investigation was not broad enough, protesting the Horowitz did not plan to investigate the role played by Attorney General Loretta Lynch, who became the subject of controversy after her tarmac meeting with former President Bill Clinton just days before Comey made his initial recommendation public. Horowitz, an Obama appointee, is expected to remain in his job into the Trump administration. The Justice Department's internal watchdog announced Thursday it has launched a probe into the department and the FBI's handling of the investigation into Hillary Clinton's private email server. The announcement, which was expected, comes after criticism of the Justice Department's handling of the investigation, particularly on how the public was notified about the controversy, which was a major issue on the 2016 campaign trail. It will likely mean questions over the role of FBI Director James Comey in the fading days of the election, which Democrats believe helped cost them the presidency, will linger on long into the administration of Donald Trump. Justice Department Inspector General Michael E. Horowitz said the decision to initiate a review was prompted by requests from numerous members of Congress and public inquiries. Horowitz's office said the review will examine several allegations, including that DOJ or FBI policies were not followed when Comey publicly stated last July that his bureau would not pursue criminal charges against Clinton; that DOJ and FBI employees improperly disclosed non-public information; and that the timing of the FBI's release of certain Freedom of Information Act requests right before the election was improper. The White House said Thursday it wasn't involved in the decision to investigate. "Decisions that are made by inspectors general across the administration are independent, and this administration has assiduously protected the independence of inspectors general," White House Press Secretary Josh Earnest said at a briefing. A message left with Clinton's office was not immediately returned. Rep. Jason Chaffetz, who chairs the House Oversight Committee, tweeted his support of the investigation. CNN's senior legal analyst Jeffrey Toobin said news of the probe provoked some interesting questions for the new administration, since the tenure of Horowitz, as a political appointee, ends along with the Obama administration ends. "There is a tradition that some presidents allow some inspector generals to stay on and complete. One of the questions that (Trump's nominee for attorney general) Jeff Sessions will surely be asked now ... is will he allow this investigation to continue? Will they appoint a new inspector general?" Toobin told CNN's Brooke Baldwin. "I think we all agree that this is something that is perfect for what inspector generals are supposed to do, but who does this investigation? Does it continue in the new administration? All of that is unsettled right now." Democrats were furious when Comey wrote to lawmakers less than two weeks before the election announcing the discovery of emails potentially relevant to its investigation of Clinton's handling of classified information. The emails, which were found on a laptop, was unearthed as part of a probe into sexting allegations against Anthony Weiner, the estranged husband of the Democratic candidate's top aide, Huma Abedin. The move allowed Trump to argue that the investigation against Clinton, which he had used to cast doubt on her character and integrity throughout the campaign, was once again deserving of voters' attention. A few days before the election, Comey wrote to lawmakers again to say that based on a review of emails, the agency had not changed its opinion that Clinton should not face criminal charges. But Democrats say his move came too late and have said that the initial letter stalled her momentum during the final two weeks of the campaign. The FBI's supporters however say Comey had an obligation to inform Congress of an update to his earlier testimony about the case. But Democrats complained that Comey's conduct infringed precedents that dictate that the FBI does everything it can to avoid being drawn into the final stages of a US election. "In fact, to show how awful this situation is, this man ignored precedent that had been going on for decade after decade after decade. The FBI does not get involved in politics -- except Comey did," former Senate Democratic Minority Leader Harry Reid told CNN's Manu Raju in an interview last month. "Had he not written that letter a week or so before the election, she would have won; we would have picked up at least two more Senate seats," he said. The Trump camp has been sensitive to any suggestions that the President-elect's victory in November was not legitimate, a stance it has also adopted to challenge claims by Democrats that alleged Russian hacking of the party's computer servers and emails from the Clinton campaign also influenced the result. 0 Response to "DOJ watchdog investigating FBI decisions in Clinton email probe"